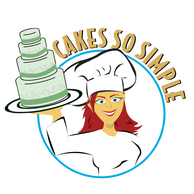 Cakes So Simple offers FREE Wedding Cake consultations and cake tastings for the Melbourne, Vero, Central Florida Area. You may wonder, why would I need a cake tasting, I know what cake taste like. Weddings are very special and unique and everyone wants theirs to be memorable. Part of that memorabilia is tasting cake and enjoying the journey to the BIG day. We, Cakes So Simple, want to make it an exciting experience. We enable our brides to taste whatever they want. We understand how important the BIG day is and the process you go through to get there. It is our goal to make each Bride know that they are very special to us and their day is of the utmost importance to us. With the Cake tasting and consultation we are building a personal relationship with the bride and groom. We show the quality of the work we perform. We let them taste all the delicious goodness. We build trust and let our Brides know that we are dedicated to making their event remarkable. We go over size, flavor, design and we ask a lot of questions. We want to know what will make our brides ecstatic on their wedding day. We want them and their guest to walk into the reception and be amazed at the cake on the cake table. We want the Brides dreams to come true in cake. The most difficult part of the consultation is Price. As we go through the consultation and we have talked about all aspects of the flavor, the guest count, the design and what the desires of the couple are, the bride and groom are wondering how much is this going to cost. While every Bride would love to have this towering masterpiece of intricate and elegant work, not every bride can afford that. There should be no shame in this. You have a budget and you know where you would like to be when all is said and done. It is very helpful to let us know what your budget is. We can work with any budget and are happy to do so. We strive and can certainly attain your dreams on your budget. Our Goal is to make Your Day the absolute best. We want you to be happy. We want to provide you with a cake that you can be proud of. We want your guests to love your cake too. Our business will continue to grow because of everyone loving what we put on display at your wedding. We will endeavor to always make a stunning cake regardless of budget.